On 6 April 2017 Michael Savage (né Weiner), a radio personality heard across the United States, gave an anti-war broadcast that began by observing, on the one-hundredth anniversary of the United States' entry into the First World War, that Woodrow Wilson had been reelected in 1916 on the premise that he had kept the United States out of the European war and would continue to do so -- but then was coaxed into war in spite of his original intentions, with disastrous results. Obviously, this is a parable for what is happening with Trump. He points out correctly that we really do not know who in Syria used sarin. He invokes "common sense" as an argument against assuming that Assad was responsible for the sarin-deaths. He states repeatedly that it makes no sense to blame Assad for the gassing. Savage offers answers to two distinct but, in practice, intertwined questions. The two questions are, who wants war with Russia? and, who wants to destroy Syria? Savage initially blames "the generals" and "the military-industrial complex" for wanting war. Then he blames "the progressives" and "the liberals." He gets closer to the truth when he mentions "the Neocon ventriloquists in the media," since Neoconservatism is a Jewish movement. He mentions Jeff Zucker and Wolf Blitzer. Blitzer at one time was an employee of AIPAC. Who wants war with Russia? George Soros and the left, he says. Savage points out that the ex-chief rabbi of Israel has compared the sarin-gassings to the Holocaust as a way of agitating for war. To answer the question of who wants Syria destroyed, Savage finally declares at the end of his first hour: "Israel benefits the most if Assad is gone." The constituencies for war against Russia and war against Syria are both Jewish. He links the change in Trump's policy to the reduction of conservative Catholic Steve Bannon's status within the administration. "It seems to me that the liberals and the Neocons are prevailing, and they both have Trump's ears." Michael Savage has not always criticized his fellow Jews' warmongering. In 2003 he was such a noteworthy warmonger that he was rewarded with a prime-time show on MSNBC, replacing Phil Donahue, after it was decided that MSNBC would line up with the rest of the news-media in supporting the war against Iraq. 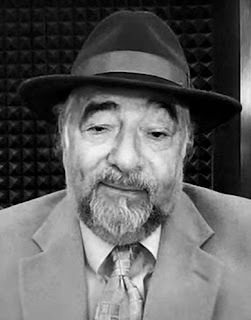 At some point, perhaps after witnessing the overthrow and brutal murder of Muammar Qadhafi, Michael Savage became a critic of Neoconservative warmongering, and has linked it to Israeli interests. He has been doing that at least since 2013. The broadcast of 6 April 2017, however, marks a new level of frankness and clarity for Savage, in terms of declaring the responsibility of the Jewish State. He implies that he has held back in the past. "But there is another element, and you know I am reluctant to say it, because of the fear I have, in saying what I am going to say to you, but I guess I'm past the point of holding back almost anything," he says. Let us hope that the so-called Alt Right will not be less clear and less bold than this Jewish talkshow-host in declaring that Jewish interests motivate these wars. Our people need to know this, so that they will recognize the pattern of lying and know what not to believe. Nice catch! I appreciate the insight. The Irish Savant just published an article today mentioning who is behind the Syria war as well. the Russian Prime Minister and Deputy Prime Minister are Jews. Putin is no Jew. That's just nuts. It seems like Savage's development mirrored my own. It makes me feel less alone somehow. I am just finishing the International Jew you recorded with Carolyn Yeager and I appreciate y'all for making it. I am sorry to see it end. If your development mirrors Michael Savage's, does this mean that you are a Jew? I think that he has some specifically Jewish motives, like the recognition that Jews have already provoked a lot of hostility from people who used to admire them. He talked in the Friday broadcast about how the Jewish community in Syria will suffer if Assad is overthrown. Yes on Friday he started arguing that the gas was not sarin but phosgene. Speaking of Yeager, there are a lot of silent people on the 'Alt-right' now, it seems. Their "wonderful" Trump turned out to be not so wonderful after all. And those who aren't silent are producing the most ridiculous theories. The Daily Stormer will give you a particularly good laugh. A lot of Jews are now beginning to realize that Weimarica may go Hitler if their fellow Jews keep doing this. The Germans put up with a lot, too much, but eventually even they had had enough. America is about to fully embrace National Socialism. Michael Weiner can see it and hear it in the Right Wing Circles. I doubt the others will even care. They expect they will escape to their magic homeland if things go badly. IF WE DON'T GET RID OF THOSE POLITICAL JEWS THEY WILL BRING US IN HELL: WON'T STOP UNTIL PROVOKE A THIRD WORLD CONFLICT..EXCEPT IF STOPPED..MISS GENERAL PATTON!!! !GOD PROTECTS US FROM THE JEWS GAMES!!!!!!!AMEN!!!! !HEIL EVERYONE!!! !ACTIVE BEGINNING OF WEEK!!! !FOURTH REICH NOW!!!! !DOWN WITH WEI..MA..R!!!!DOWN!!!!DOWN!!!! !MAKE AMERICA GREAT AGAIN!!!! !FREE AGAIN FROM THE POLITICIAN..JEW!! !DAY EVERYONE!!!!DAY!!!DAY!!!HEIL!!!!! PS: THERE WERE NO "HOLOCAUST",BUT SERIES OF TYPHUS EPIDEMIES PROVOKED BY YOUR ADORED ROTHSCHILD MESSIAHS REGULAR BOMBINGS ON THE FOOD AND MEDICAL SUPPLIES SENT FROM BERLIN TO THE HEADING TO PALESTINE CARAVANS!!!!! !CHECK DENNIS WISE DOSSIER ON HAAVARA THIRD REICH/FOUNDING FATHERS OF ISRAEL AGREEMENT AND ON THE GROUND APPLICATIONS!!!! !WILL CHANGE EVERYTHING ABOUT YOU WERE LIED ON!!! !CHECK AND BE FREE!!! !AND THEN LET BE FRIENDS AGAIN!!!! !HAVE A GOOD DAY!!!!!!HEIL!!!!! ISRAELIS: WE RECOGNISE YOUR RIGHT TO,AS YOU DEMANDED MORE THAN A CENTURY AGO NOW,THROUGH THE HAAVARA TRANSFER AGREEMENT,SIGNED WITH THE PRECEDENT REICH,LIVE FREE AND MASTERS IN THE LAND OF YOUR ANCESTORS..WHY KEEPING IDENTIFYING TO A GLOBALIST INFRASTRUCTURE WHICH DENIES THE SAME TO OUR FOLKS?AND WANTS TO RULE ALL THE GLOBE,THROUGH POLITICAL PHAGOCYTAGE AND ECONOMIC SHOCKS,INSTEAD OF RESPECTING PEOPLES RIGHTS TO LIVE MASTERS AND DECENT IN THEIR LANDS?WHY?NOT TIME TO..DISTANCIATE FROM..THEM AND..CHANGE?YOUR CALL..HAVE A GOOD DAY!!!! !